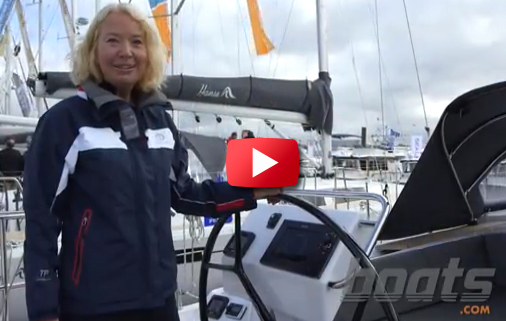 Zuzana Prochazka remembers falling in love with her first keelboat, a Shields. My first sailing outing was less than encouraging. 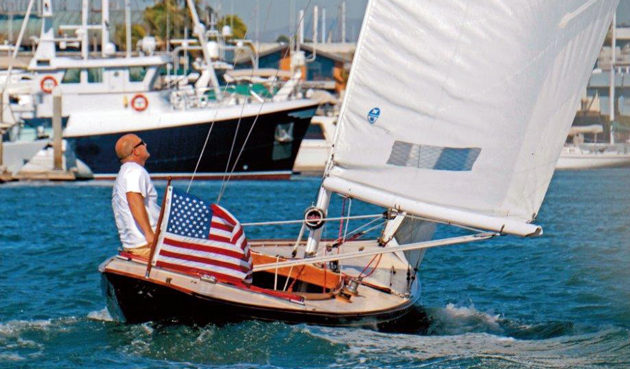 In brisk winds off Marina del Rey, California, I capsized, then turtled, a Lido 14. I spent the next twenty minutes in cold water trying to climb up on the overturned hull to grab the centerboard and right the boat, which was full of water and had the sails still strapped in tight. For most people, that would have been enough to move on to another hobby. For me, it was the beginning of a lifelong sailing addiction—although I decided I could do without that particular experience again. 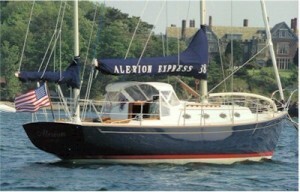 Imagine my delight then, when I graduated to my first real keelboat. Orange Coast College School of Sailing and Seamanship in Newport Beach had a fleet of Shields 30s, and although I had no clue about their pedigree and the famous sailor who conceived them, they still caught my eye. They were pointy on both ends (later I learned those were called overhangs) and their shape (sheerline) was sleek and graceful. They were majestic, fun and forgiving, and also pointed and went to weather well. 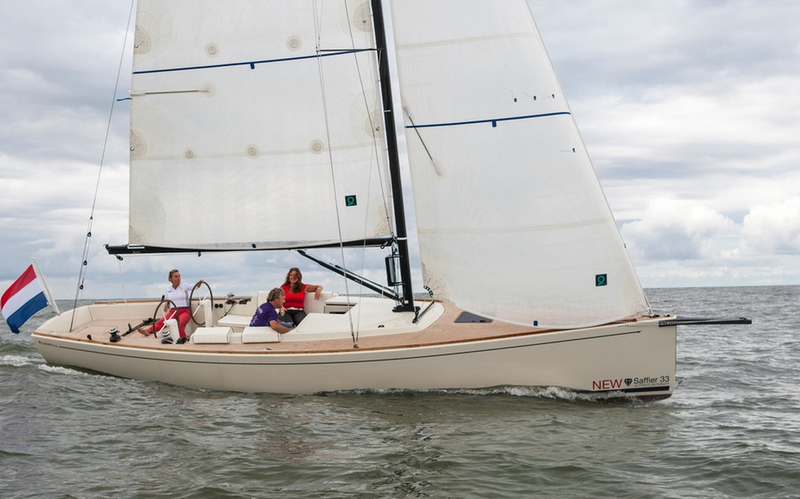 The Shields 30 is a stable keelboat with elegant lines. Photo courtesy Barrett Canfield. Later on I learned their history, which made the design that much more special. 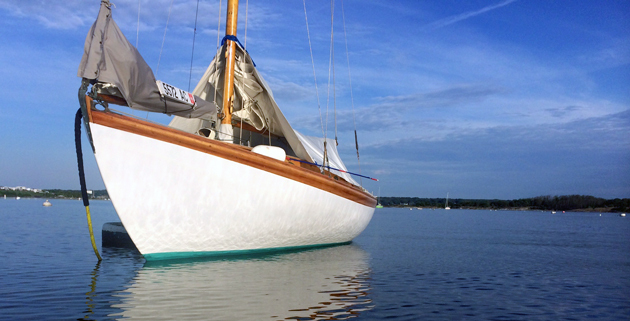 In 1963, Cornelius Shields, a proponent of International One Design (IOD) sailing, wanted to create a boat that would be appropriate for the training of cadets at East Coast maritime academies. 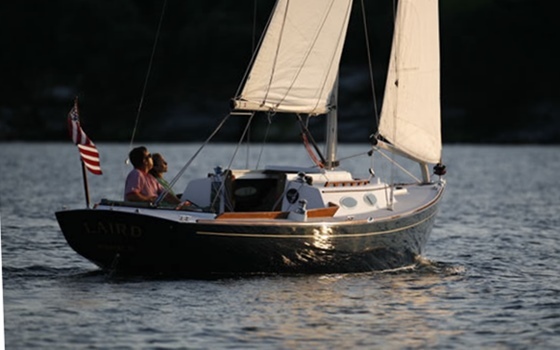 He commissioned Olin Stephens of Sparkman & Stephens to create a boat that could compete as a one-design, was low maintenance, and was sturdy enough to take on the choppy waters of Long Island Sound. After much perfecting, Cape Cod Shipbuilding Company built the first twenty boats, six of which went to the United States Merchant Marine Academy at Kings Point. Thereafter, about 100 boats were built and donated by Shields to various colleges and universities. Fifteen of the boats found their way to Southern California, and that’s how I got to sail this classic for the better part of three years. In 1965, Shields purchased the molds and moved production to the Chris-Craft Corporation in Michigan. Hulls 21 to 190 were built there. Hulls 191 to 200 were then built by the Hinckley Company, and in 1974, the tooling returned to Cape Cod Shipbuilding where hulls 201 and up were built. 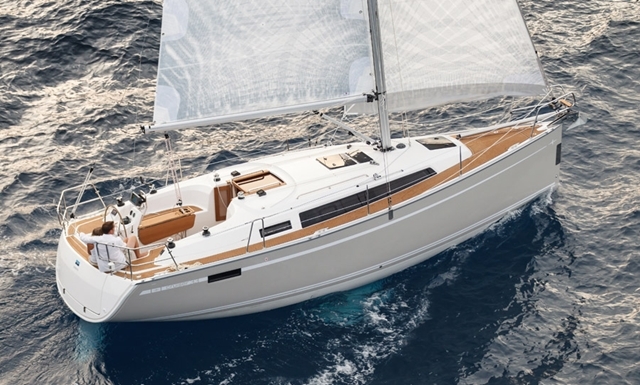 It’s estimated that nearly 280 hulls have been built in total and today, there are still active fleets around the country. The fiberglass Shields is a relatively heavy design at 5000 pounds, with 3,080 pounds of external lead ballast. 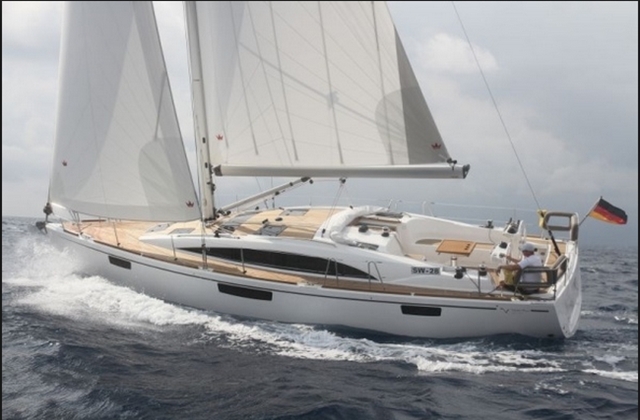 My first sail was as smooth as a Cadillac ride compared to the Yugo-like 300 pound Lido 14. Three to five of us crammed into the open cockpit of the Shields, which meant shuffling about so the driver had room to move the tiller. 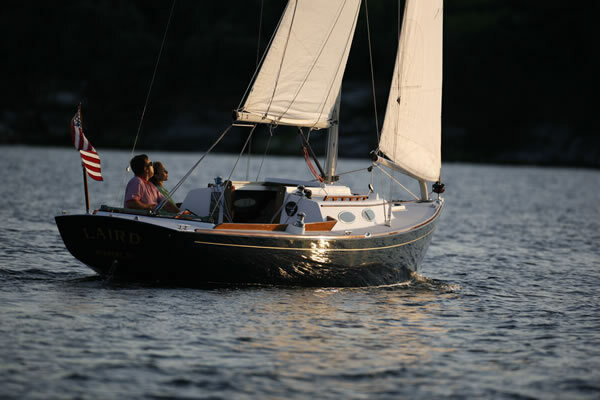 With 360 square feet of sail area we slipped along beautifully, and I learned how to safely dock the boat under sail. When I took my dad out to show off my new skills, he didn’t believe there was no engine and braced himself for impact, telling me that I probably just hadn’t found the motor yet. The best part of sailing a Shields with its heavy cutaway keel was that I was never going to capsize one, much less turtle it and spend twenty minutes in frigid water trying to get it upright. No wonder my first keelboat is a love I won’t soon forget. For more information, visit the Shields Class website.